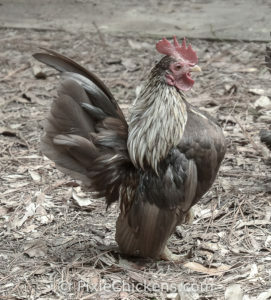 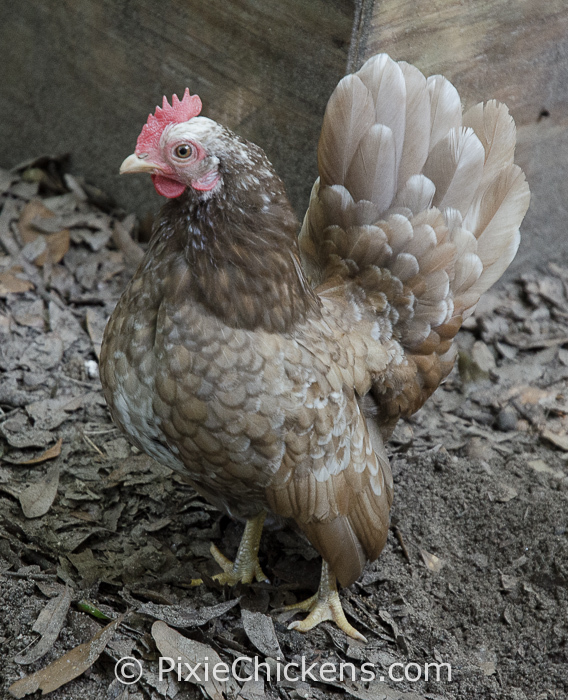 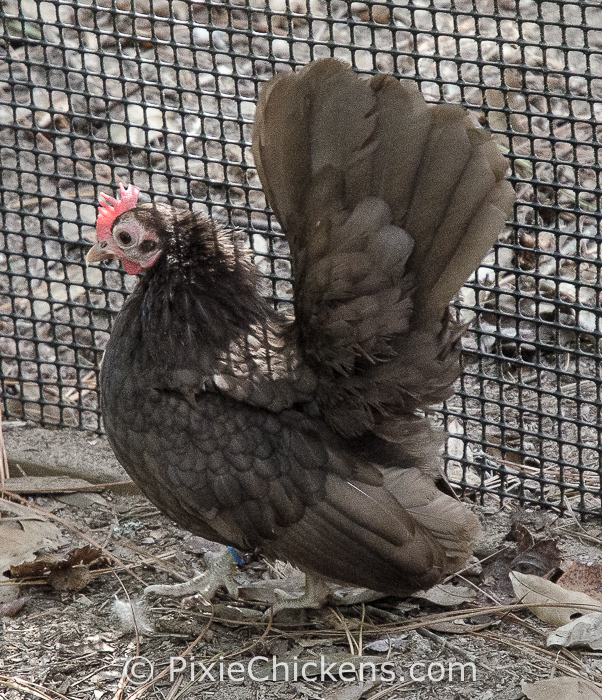 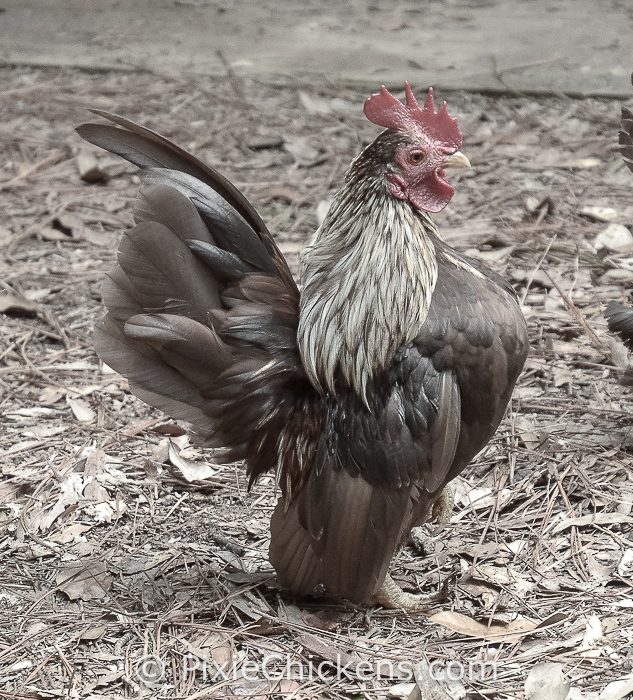 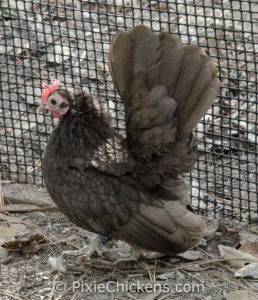 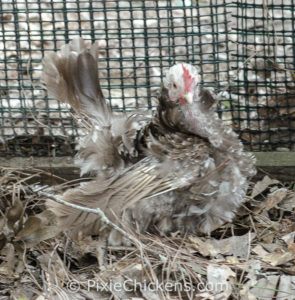 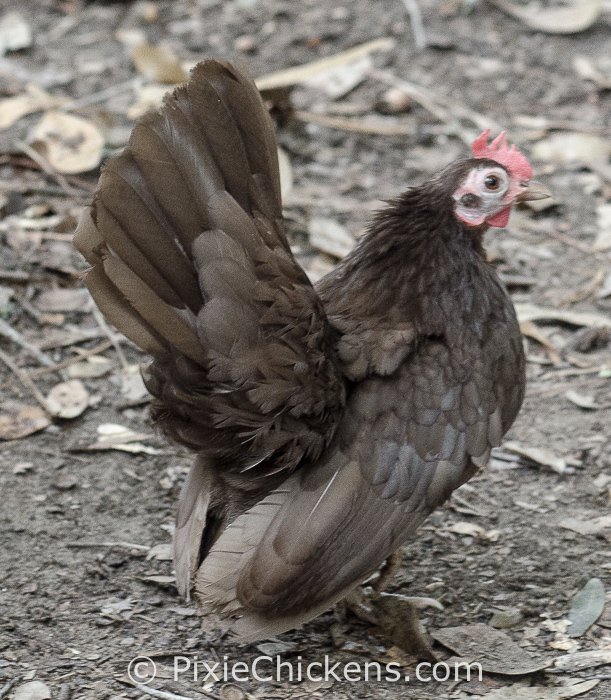 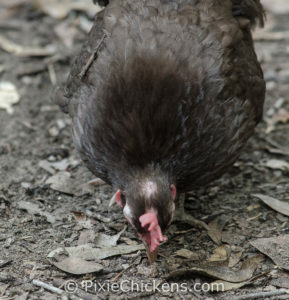 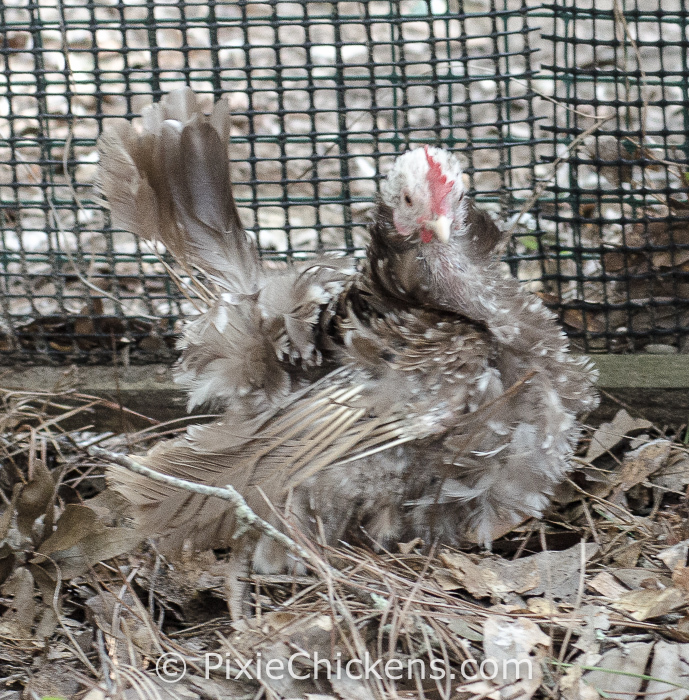 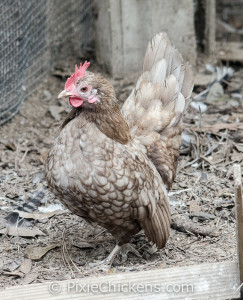 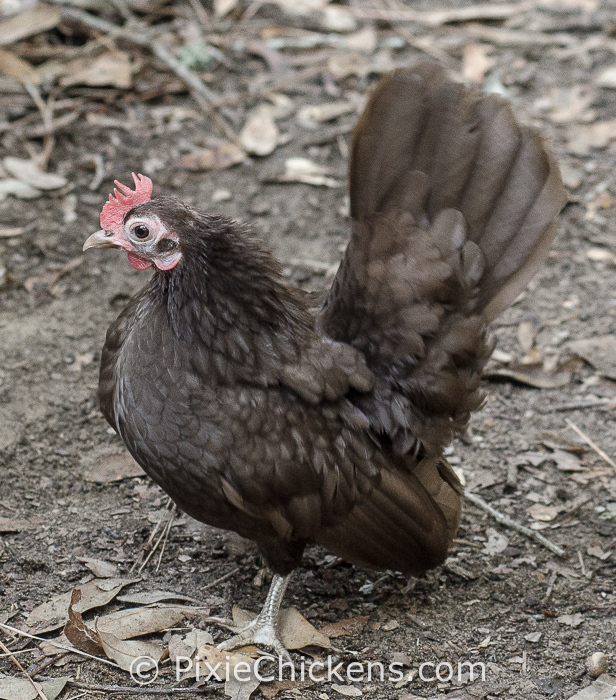 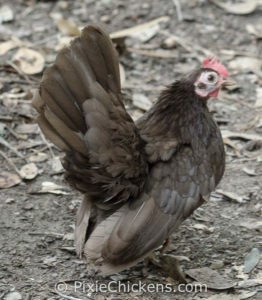 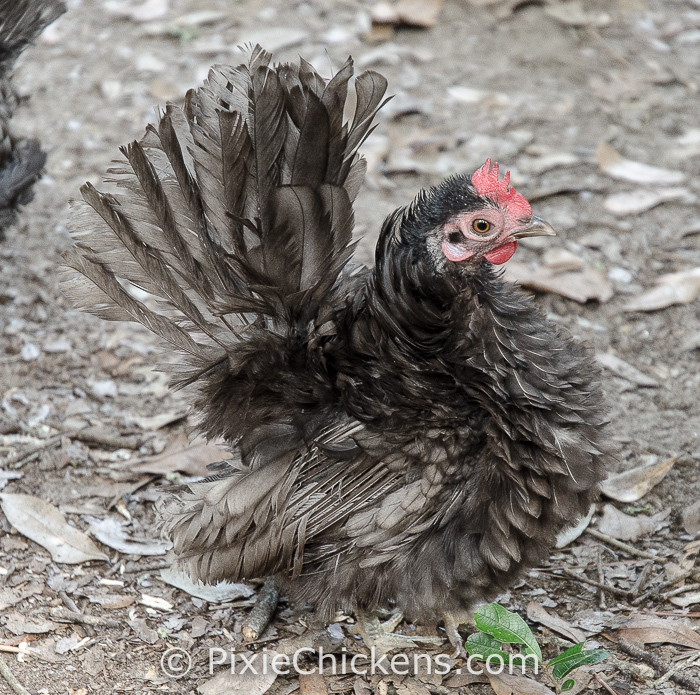 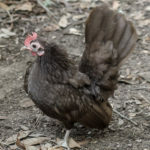 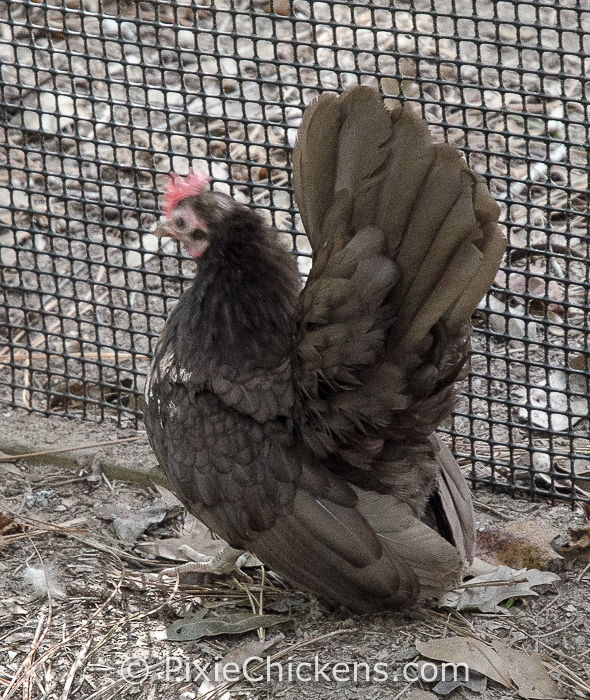 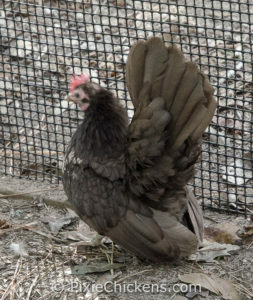 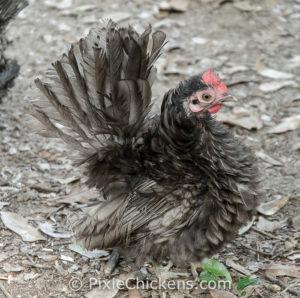 Paisley is a smooth feathered chocolate hen. 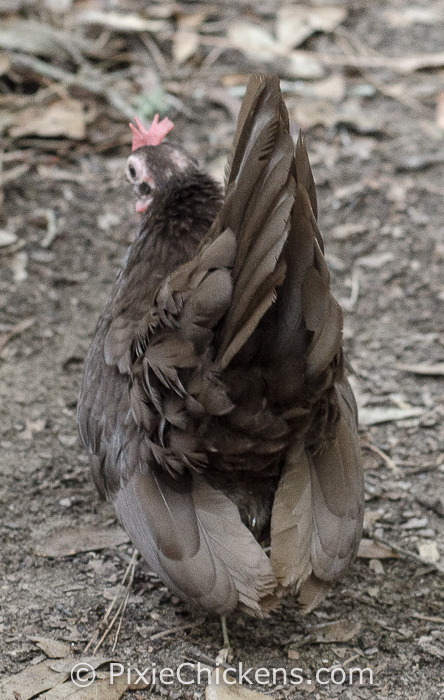 She has a bald spot on the top of her head from one of the other girls. 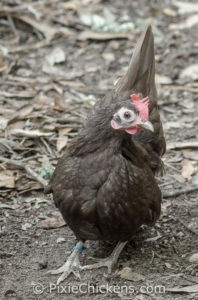 She is at the bottom of the pecking order.